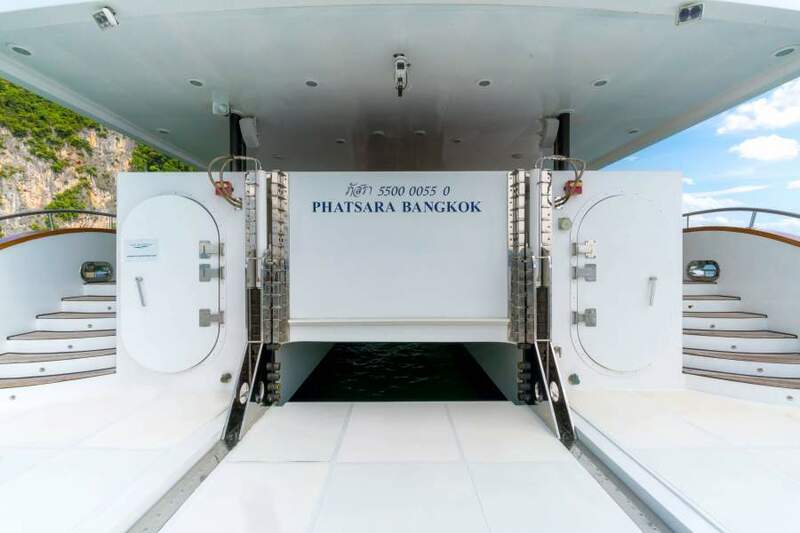 At the time of her build, PHATSARA was the largest private power catamaran ever constructed. 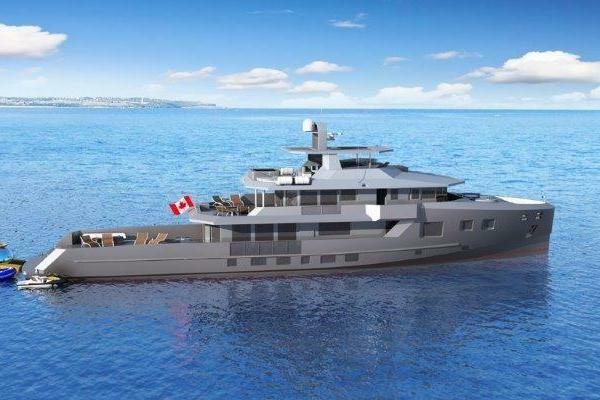 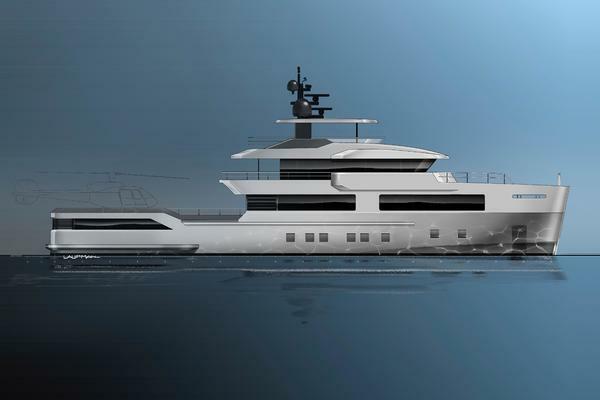 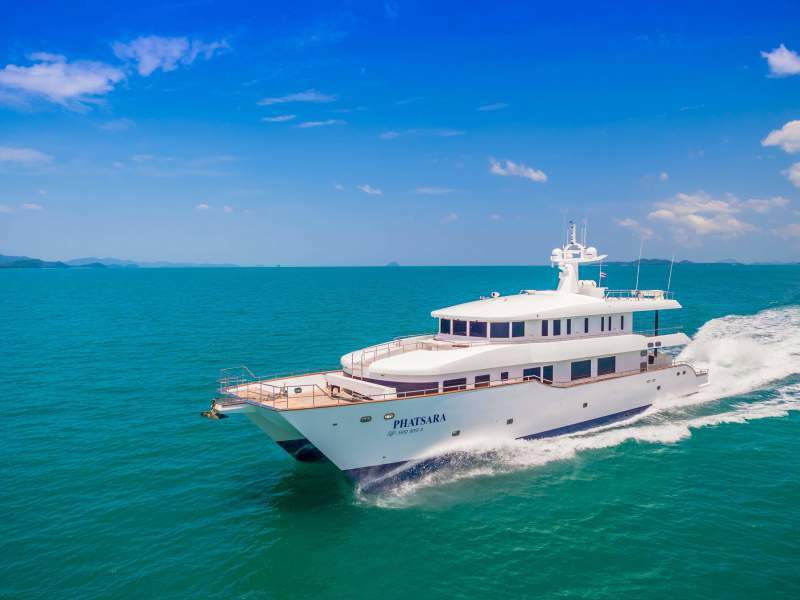 Designed by the world-leading multihull naval architects, Incat Crowther, with composite technologies built by High Modulus and instruction from Sikline International to create a high-tech, multi-purpose luxury yacht. 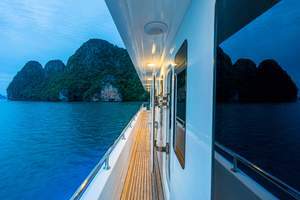 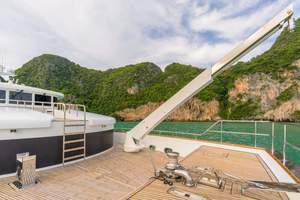 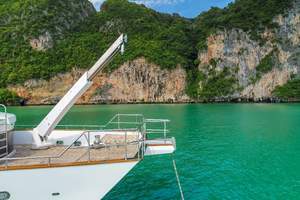 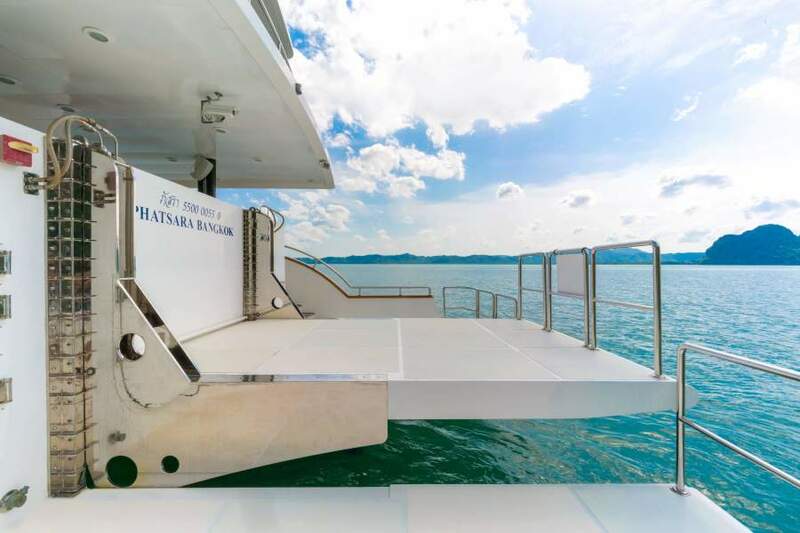 As a catamaran, PHATSARA offers excellent natural stability, efficiency and a shallow draft, which allows her to travel and anchor to many idyllic secluded places. 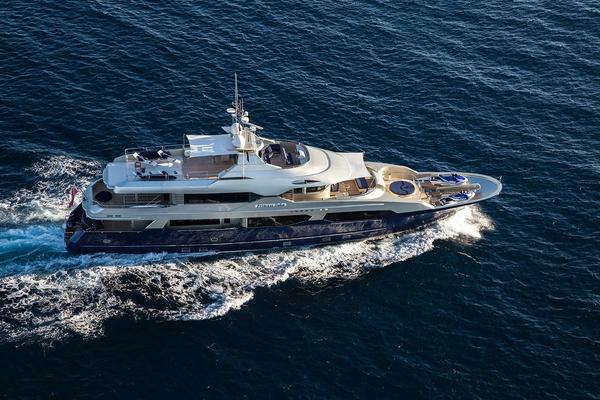 The luxury yacht has a maximum speed of 25-plus knots and a 2,000-nautical-mile range at nine to 10 knots. 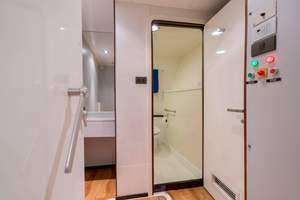 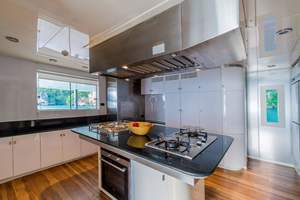 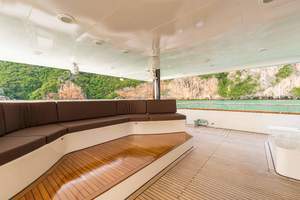 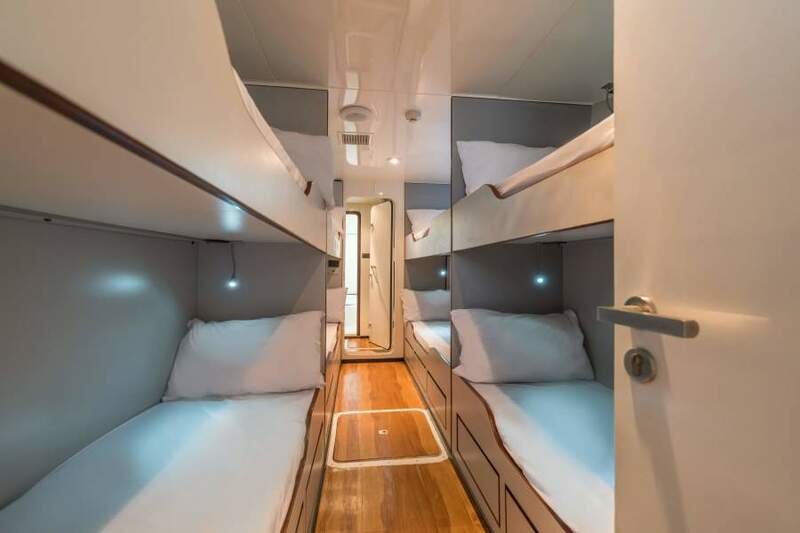 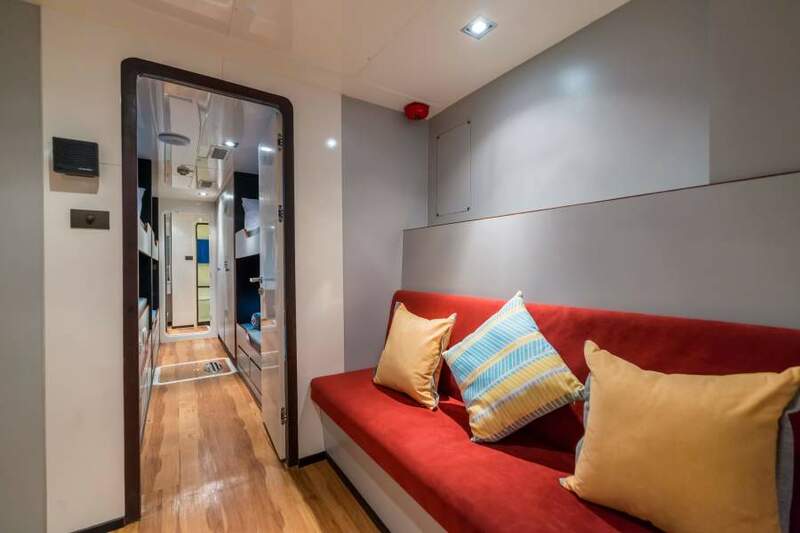 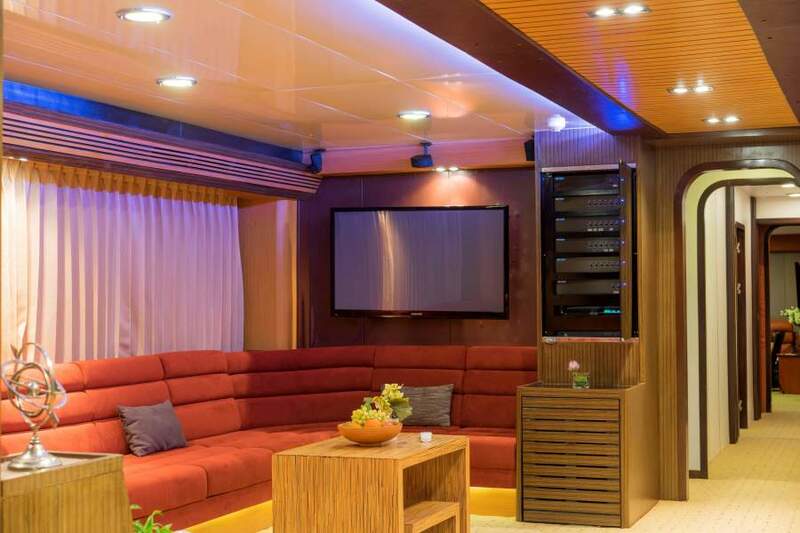 The luxury power catamaran showcases a spacious interior that lends itself to comfortable, private passage making or commercial use, if desired. 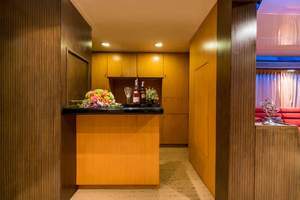 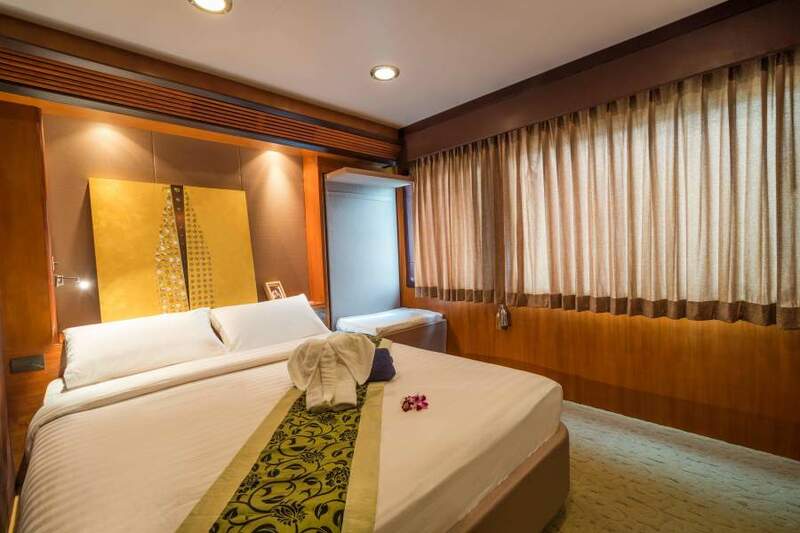 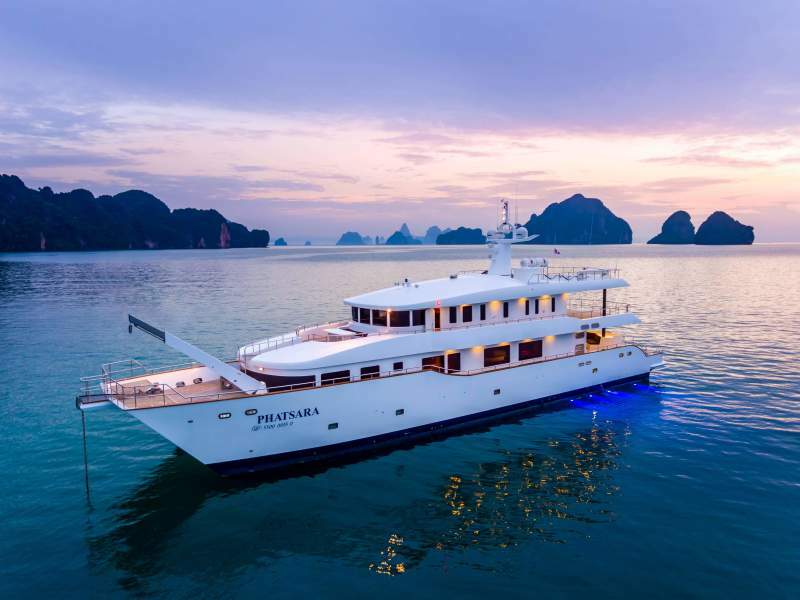 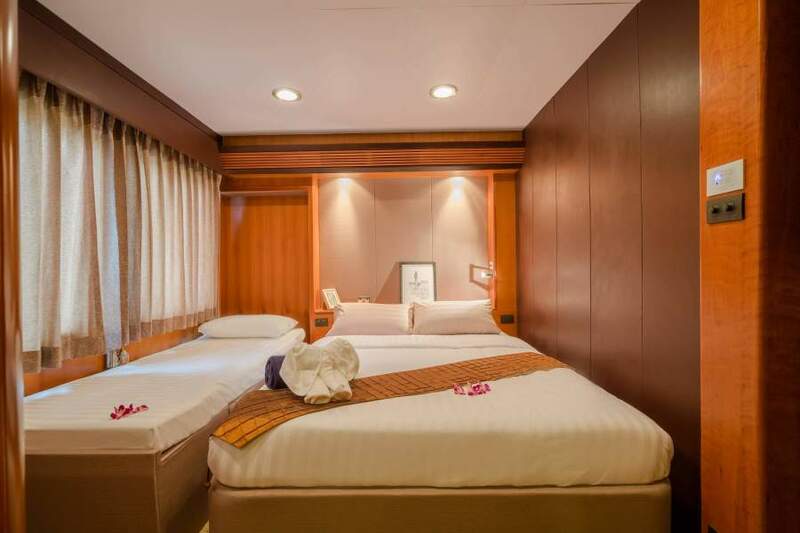 PHATSARA is able to accommodate 26 guests and 10 crew; eight guests are accommodated in three luxurious staterooms while 18 guests are accommodated in standard single berths in the lower deck hulls. 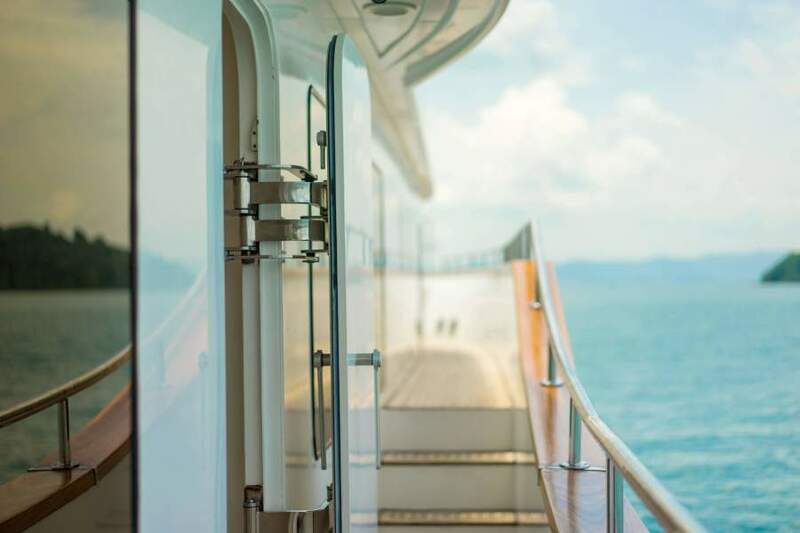 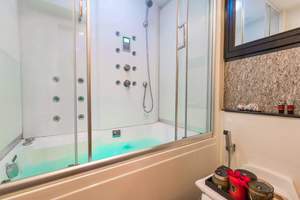 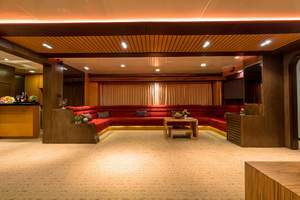 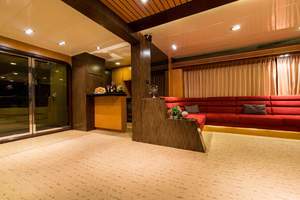 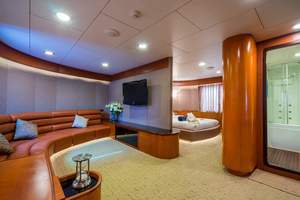 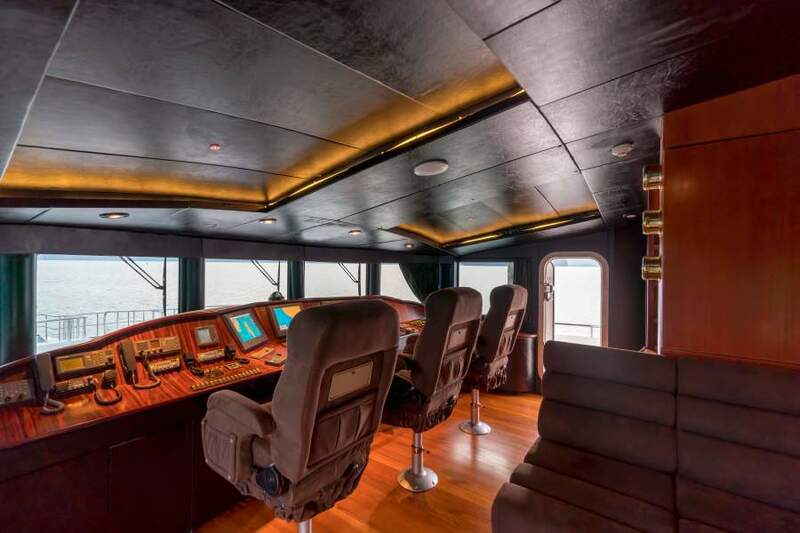 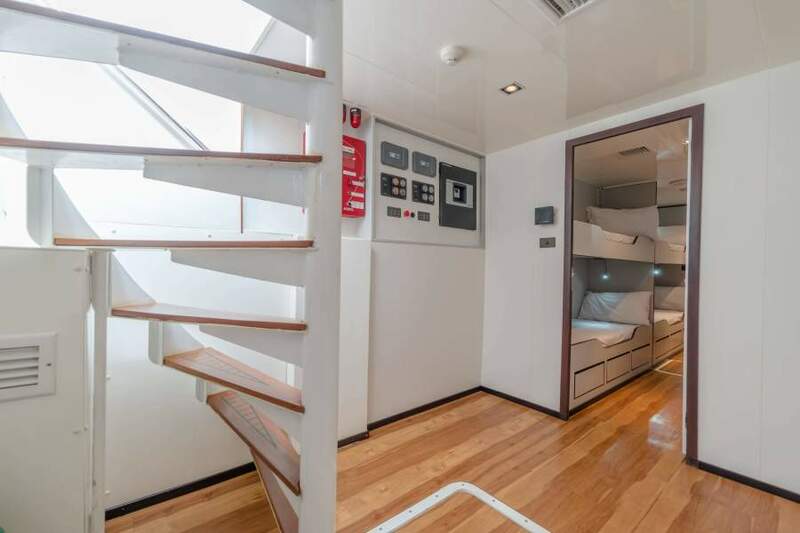 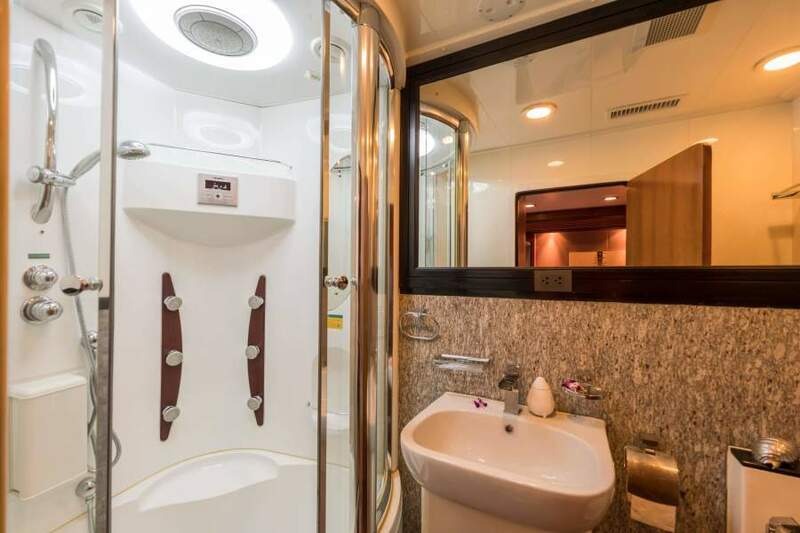 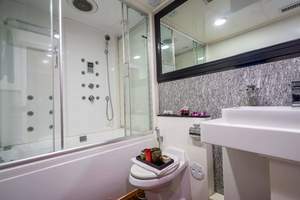 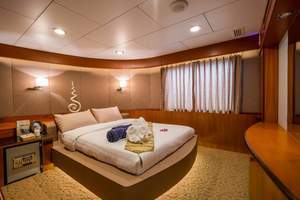 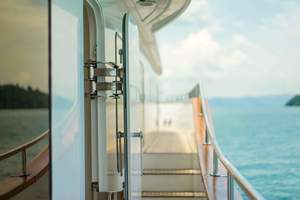 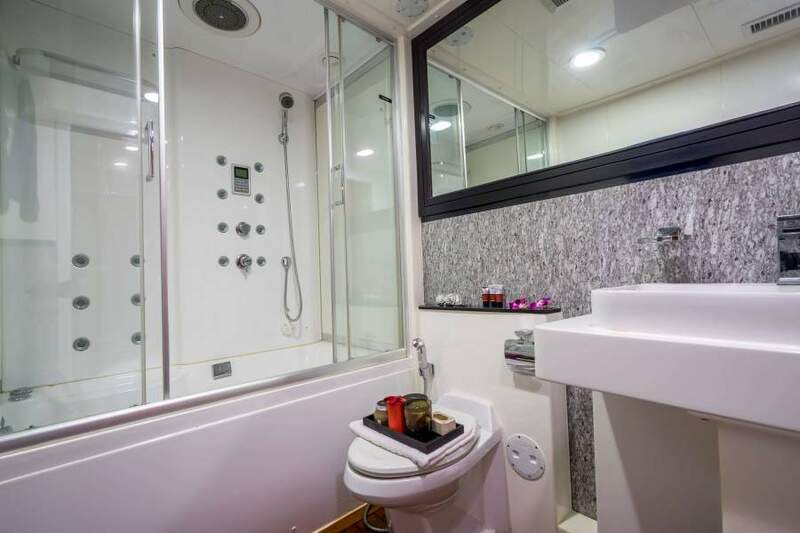 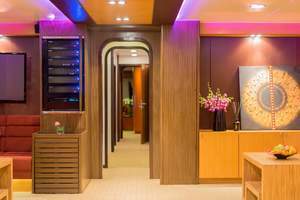 She features a lovely main-deck master stateroom with a private cinema room, office, and an en-suite bath complete with a digital shower and Jacuzzi. Also on the main deck are two divine VIP staterooms each with a double bed and a Pullman. PHATSARA’s exterior decks are well versed, allowing for multi-purpose use. 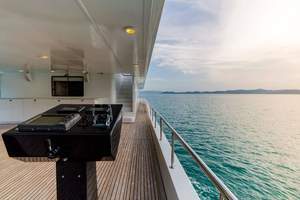 Her rooftop provides the ideal space for relaxing and enjoying the spectacular views that surround, while her Portuguese deck is the perfect spot to sit back while you cruise. 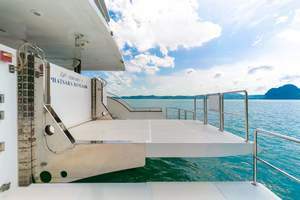 The catamaran showcases two davits that allow for a 17-foot (5.2m) tender, Jet Skis or other water toys as well as a hydraulic platform aft — enabling easy use of the tender and toys. 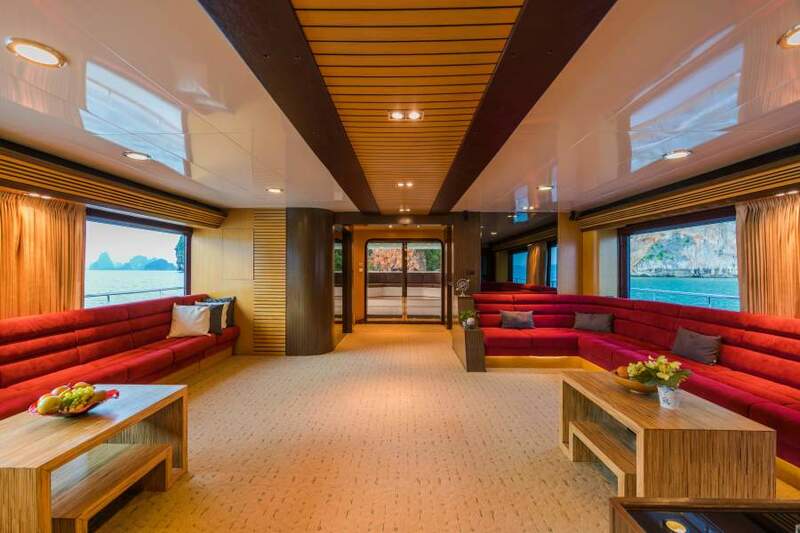 West Florida Yachts would love to guide you through a personal showing of this 120' Custom Incat Crowther 37M Power Catamaran 2012. 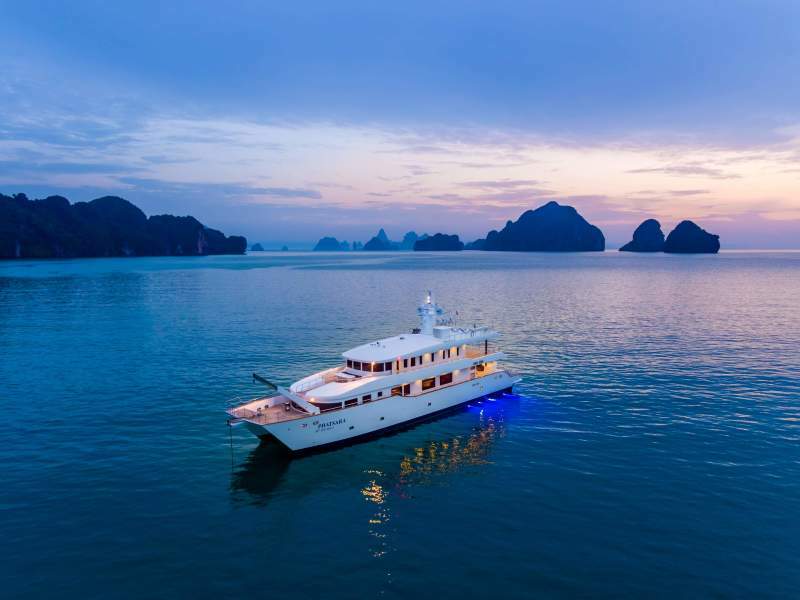 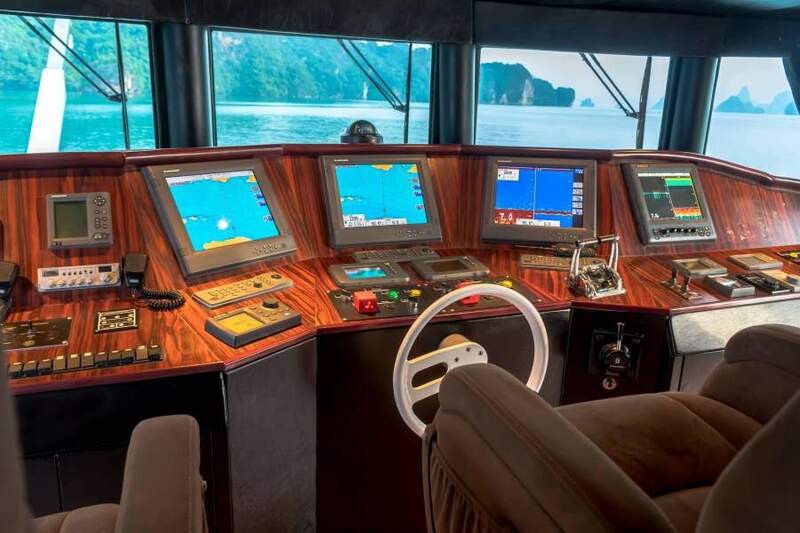 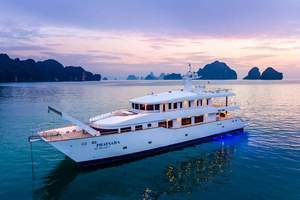 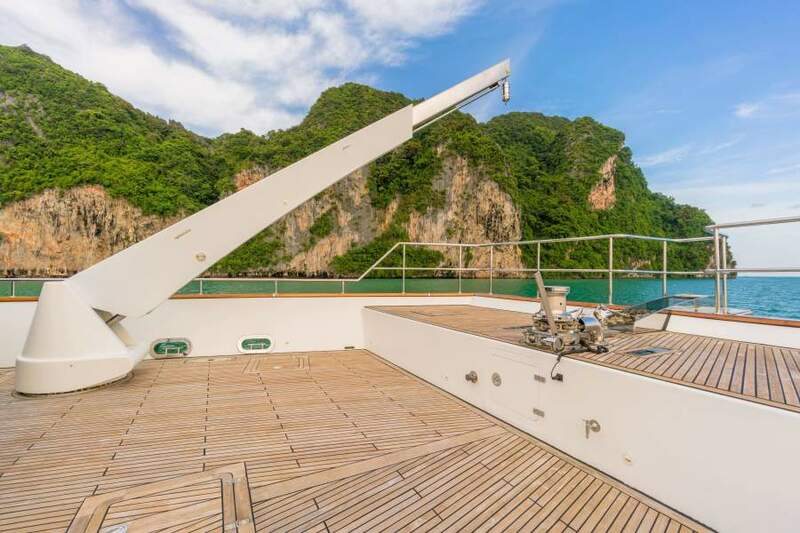 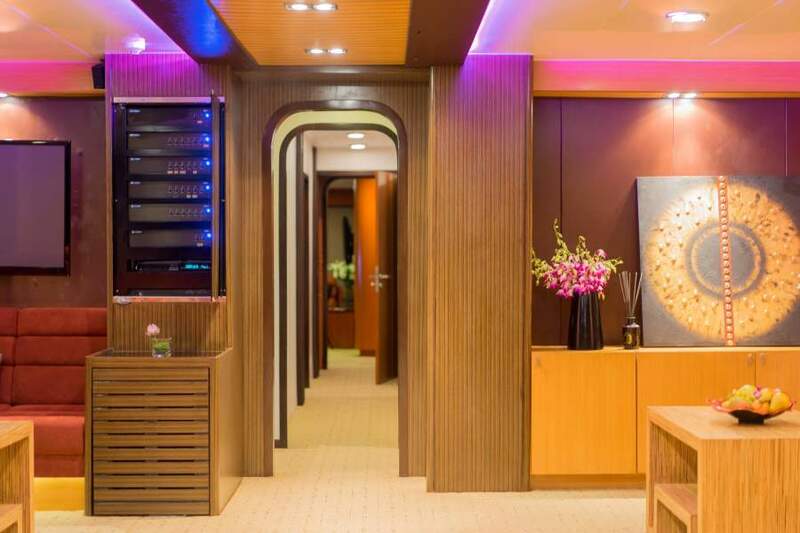 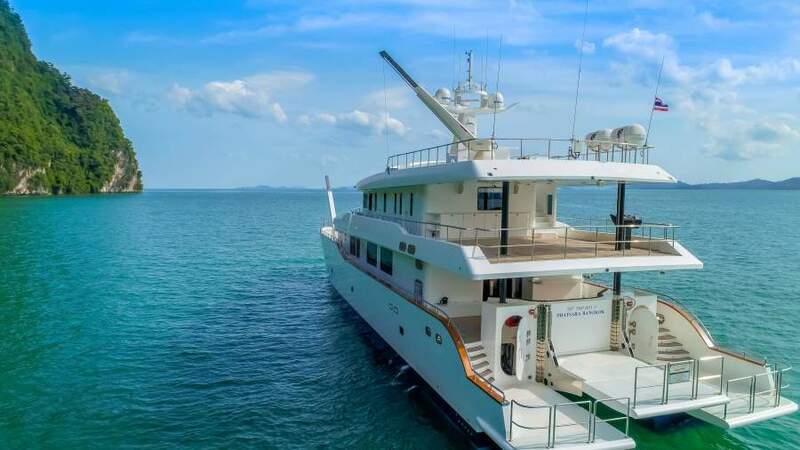 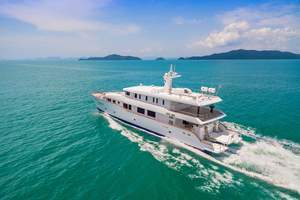 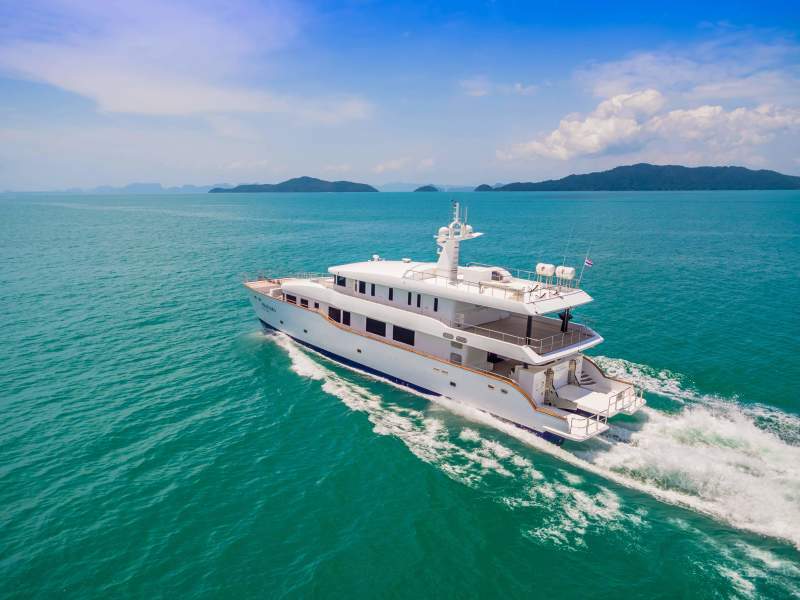 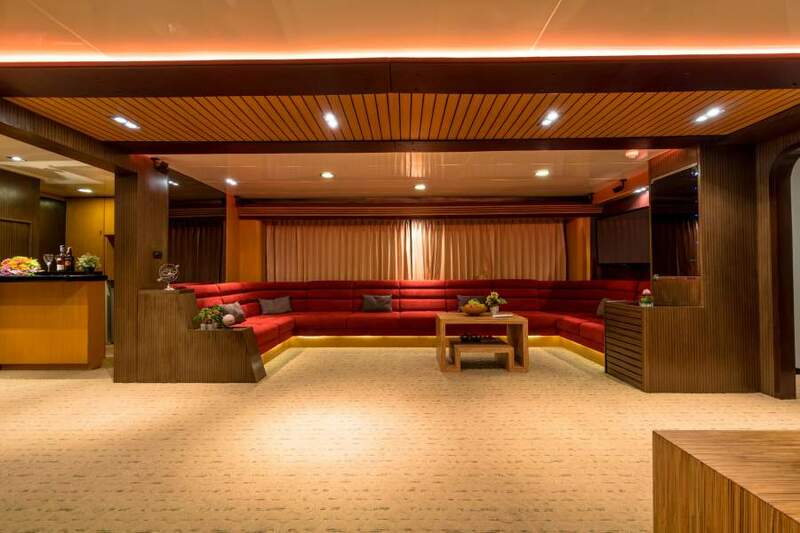 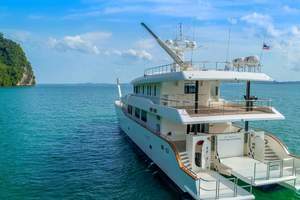 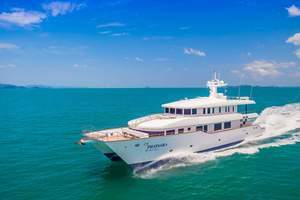 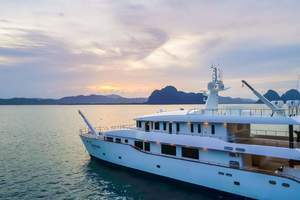 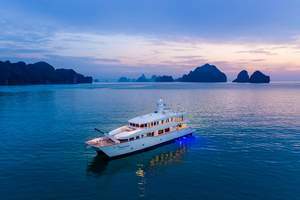 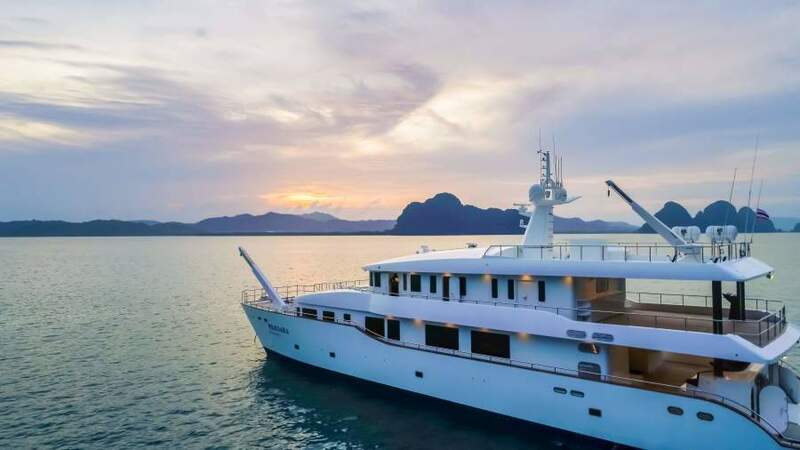 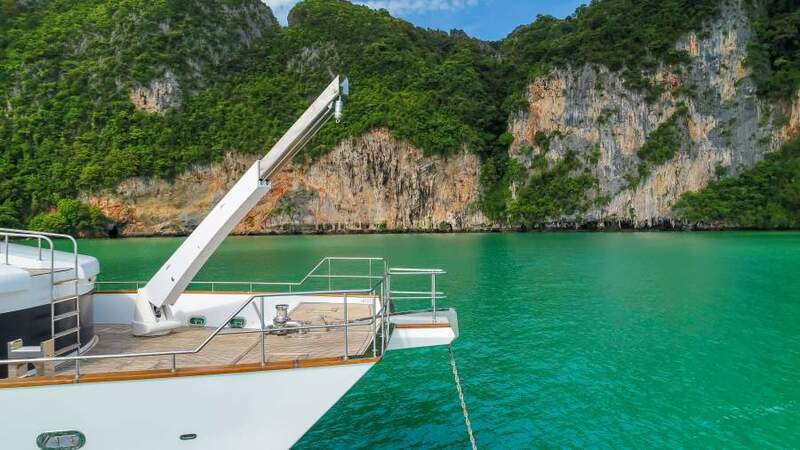 This yacht for sale is located in Pranburi , Prachuap Khiri Khan Province Thailand and priced at $3,950,000. For a showing please contact us by filling out the form on this page and we will get back to you shortly!